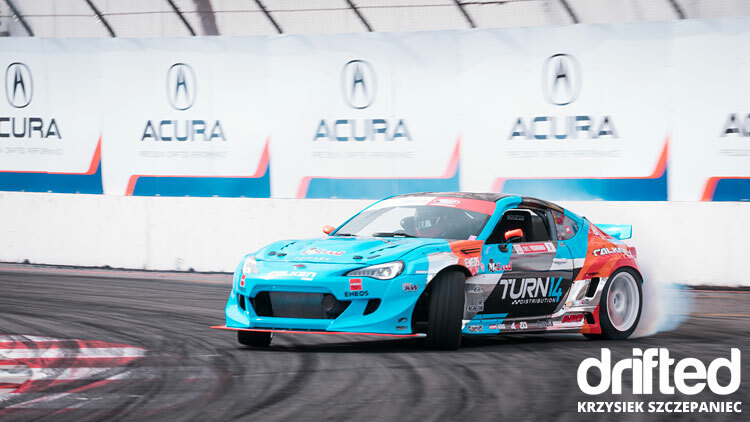 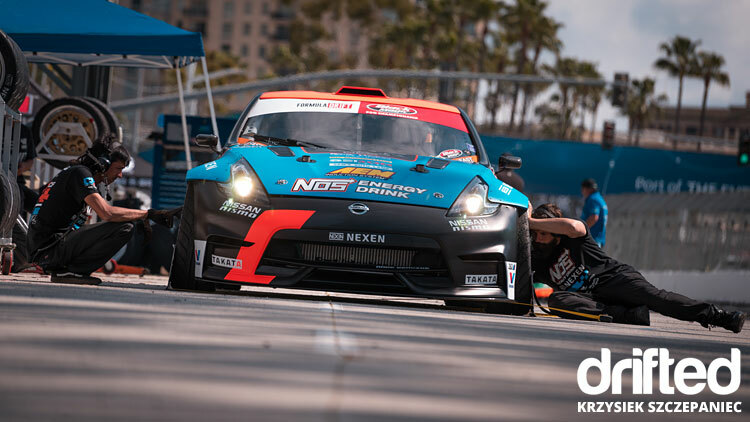 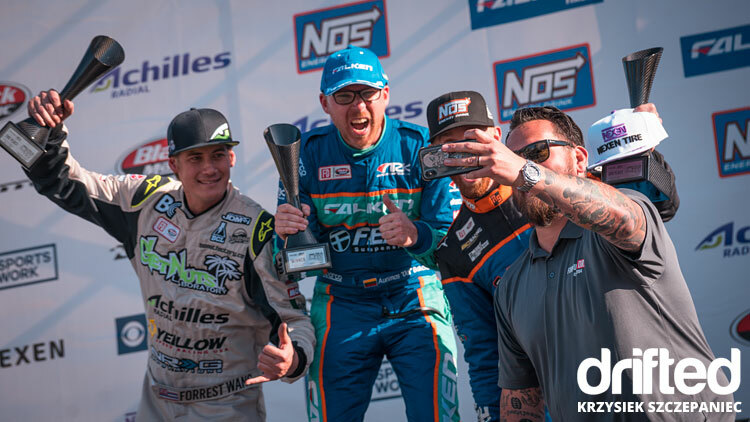 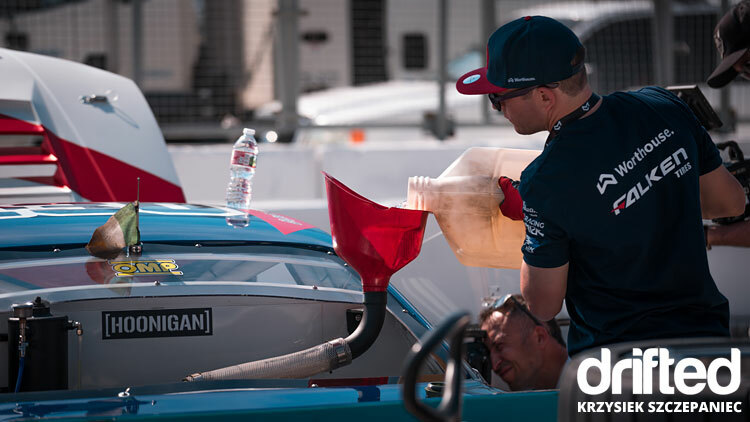 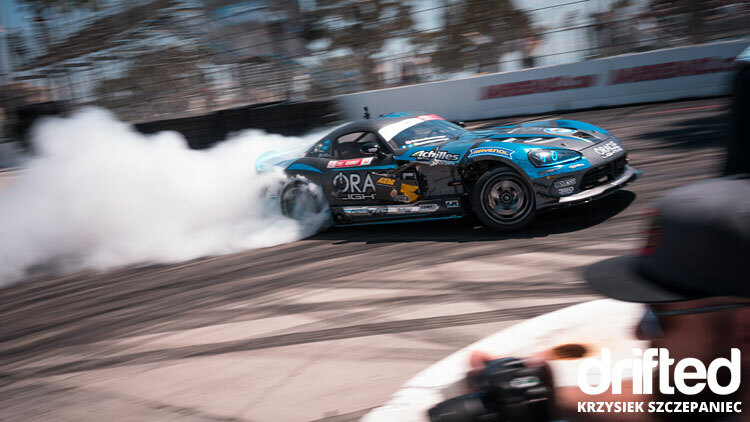 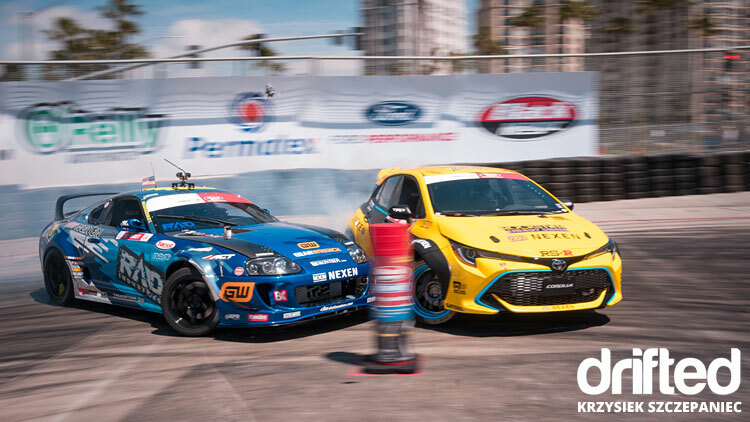 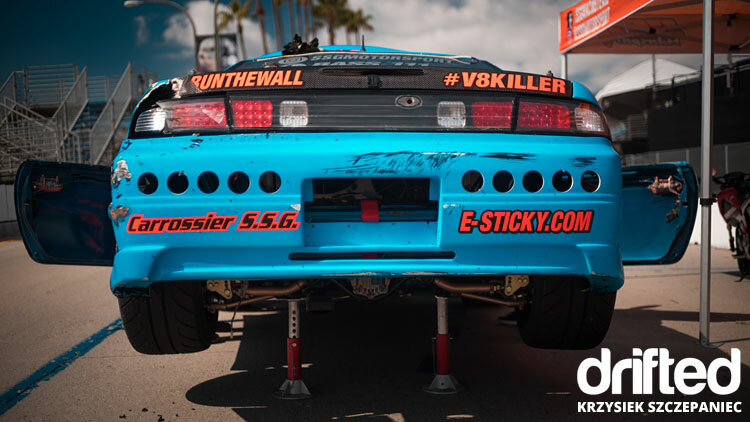 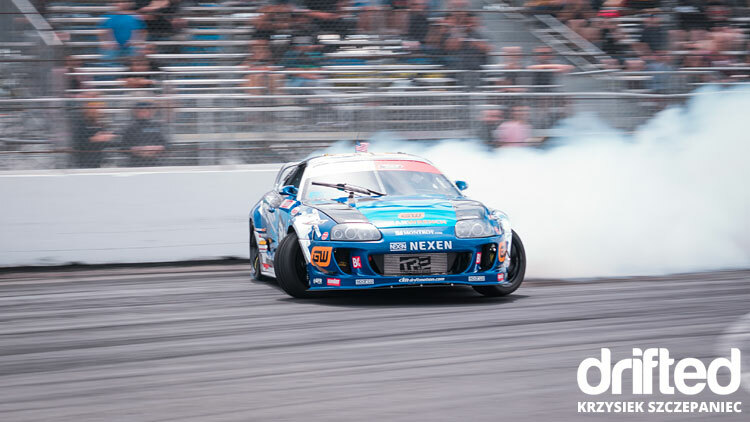 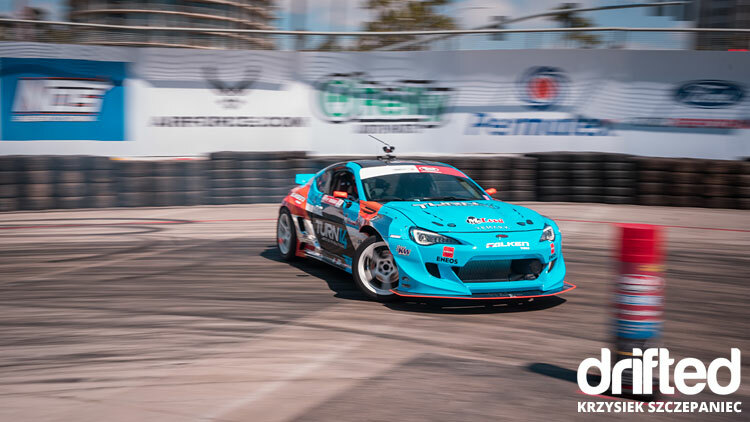 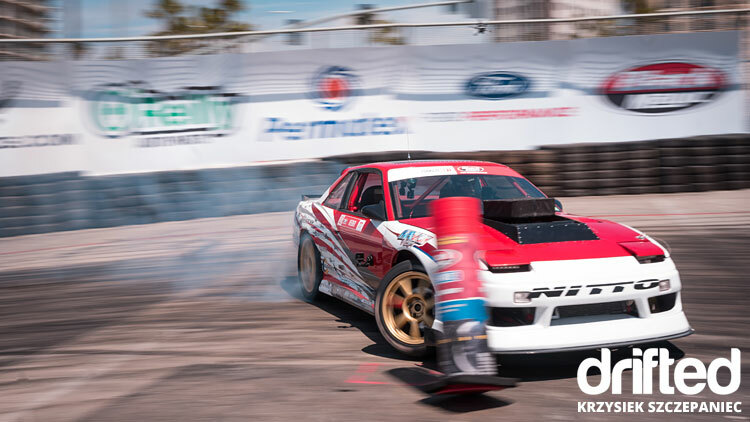 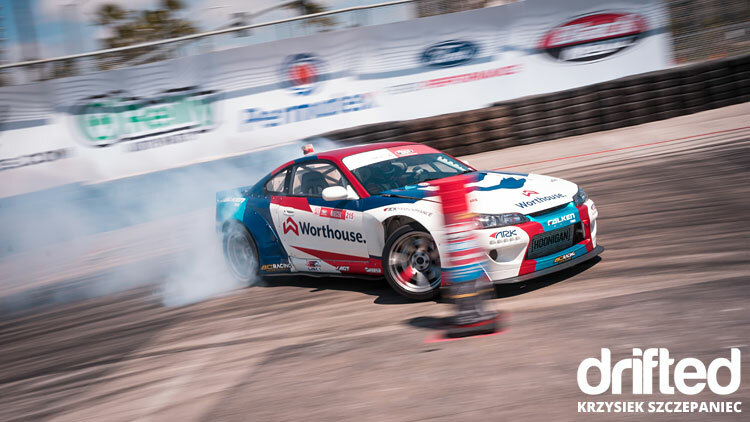 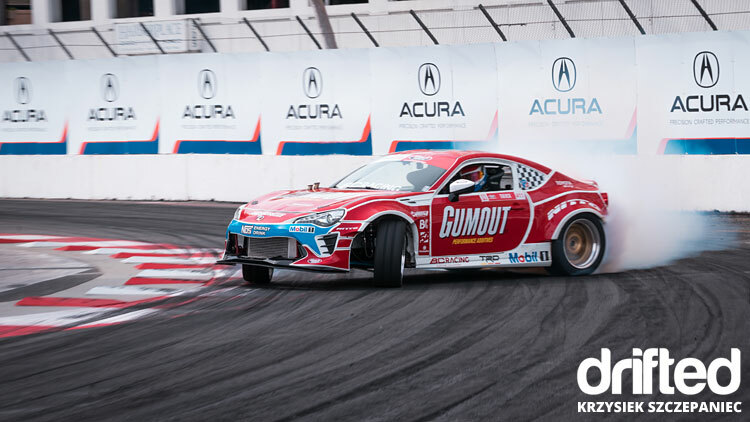 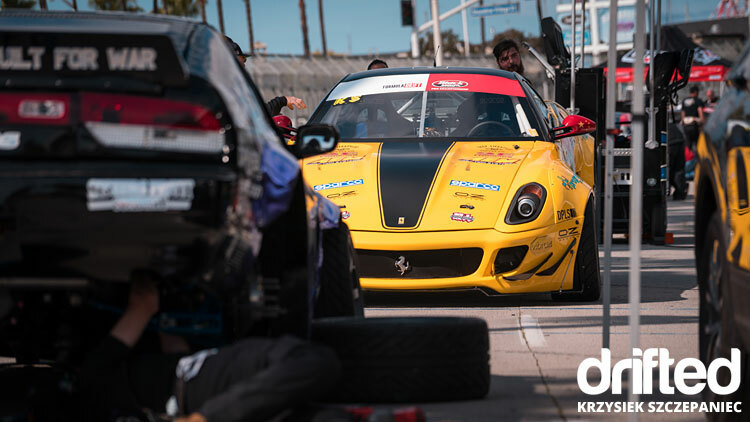 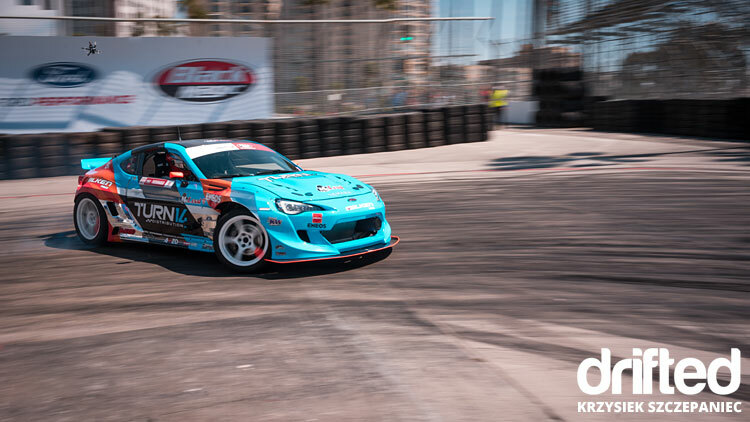 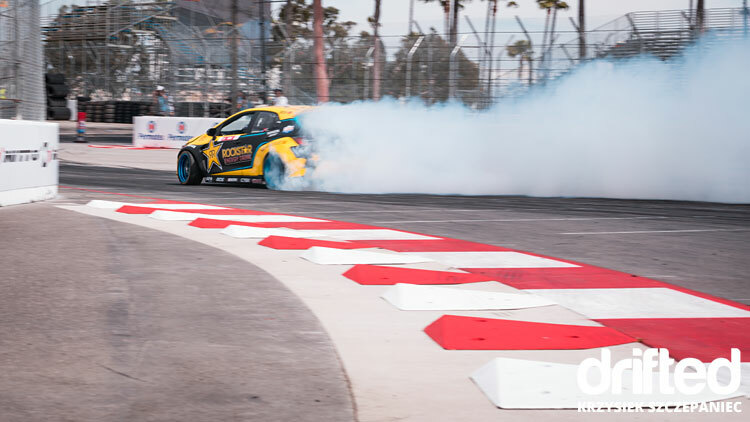 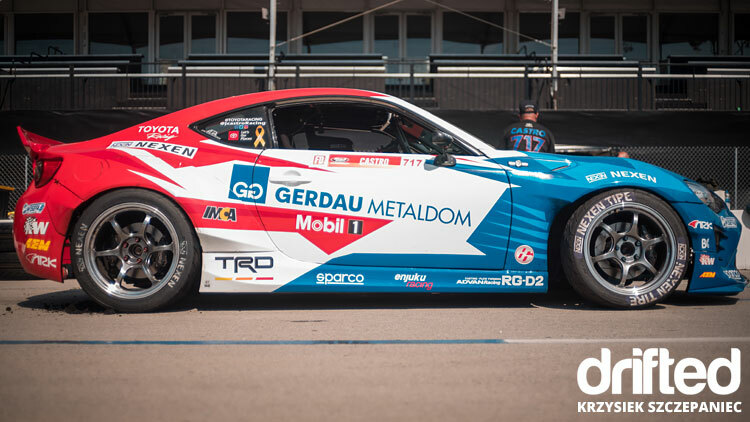 Kris Szczepaniec presents event coverage from Formula DRIFT’s Long Beach event, round 1 of the 2019 season. 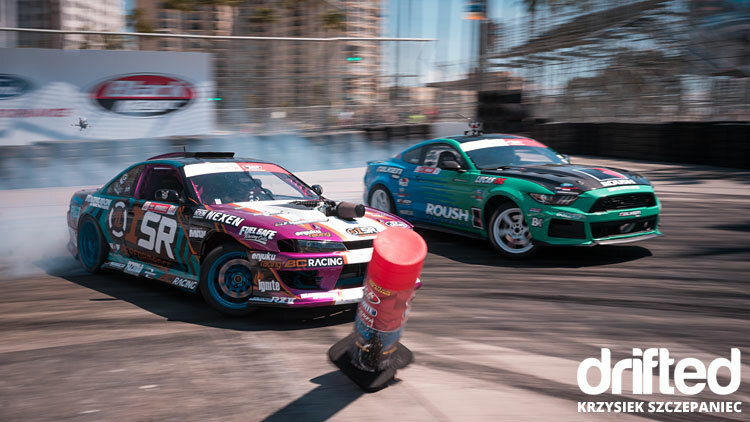 Streets of Long Beach once again welcomed Formula Drift drivers and thousands of spectators to kick off a new season of Pro drifting! 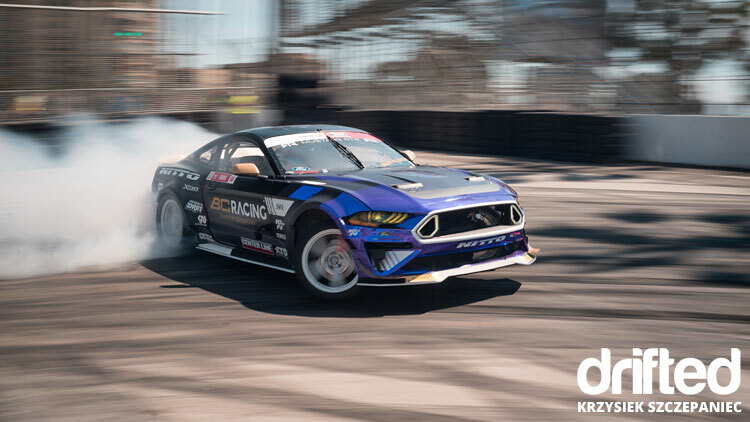 And let me tell you if all 2019 rounds will be as dramatic as the 1st one, we’re in for a major treat! 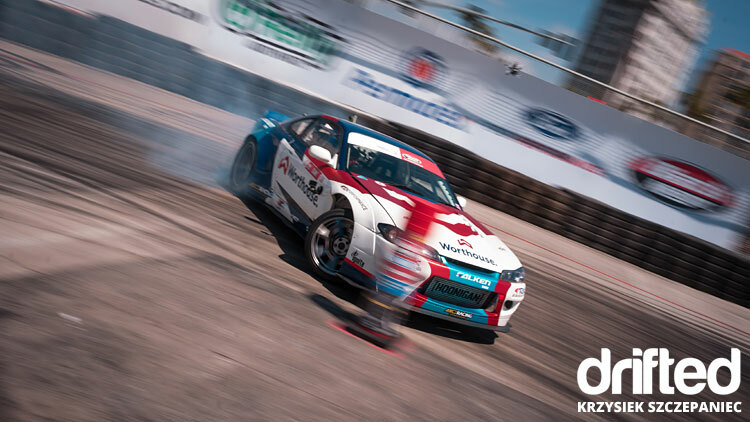 The weather forecast for the weekend was very promising, sunny with some clouds from time to time. 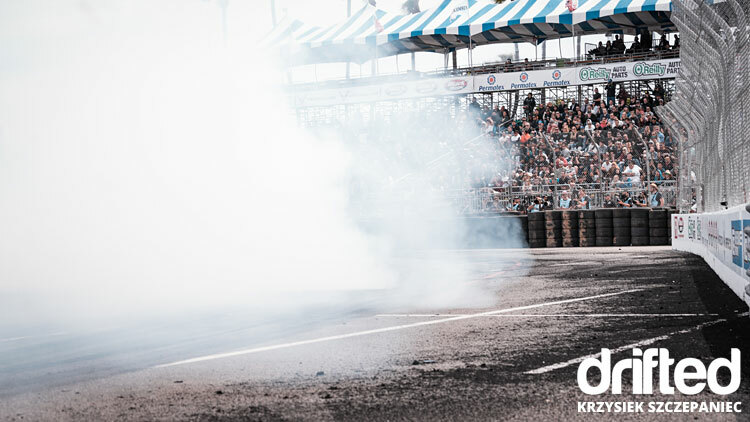 That usually means one thing – a lot of smoke! 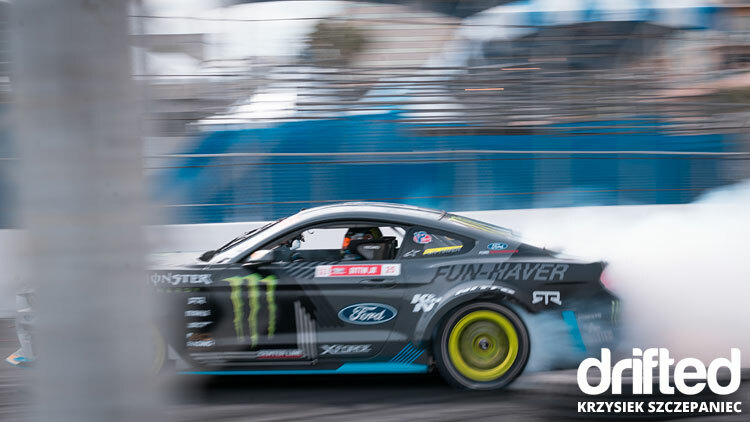 Something that we’ve been waiting for since last October. 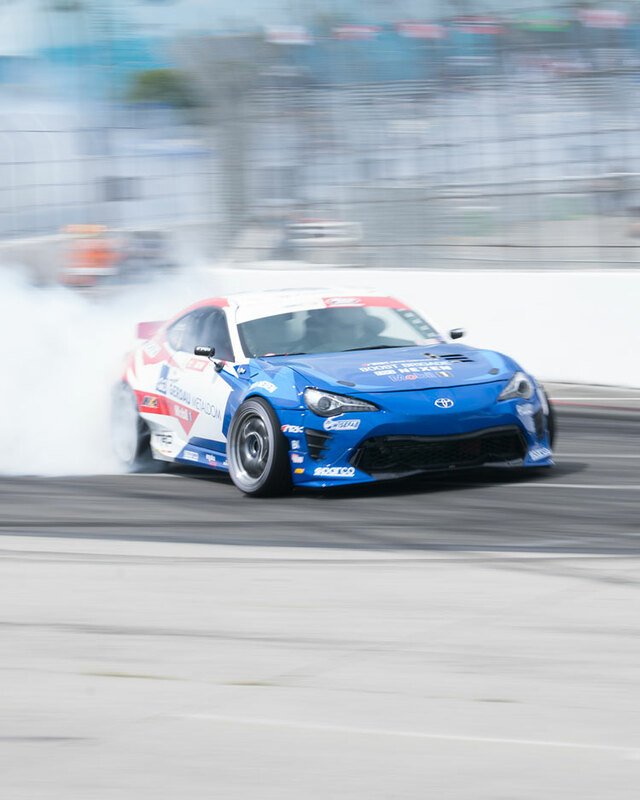 Drivers, sponsors and vendors started rolling in as early as 5:30 am on Friday. 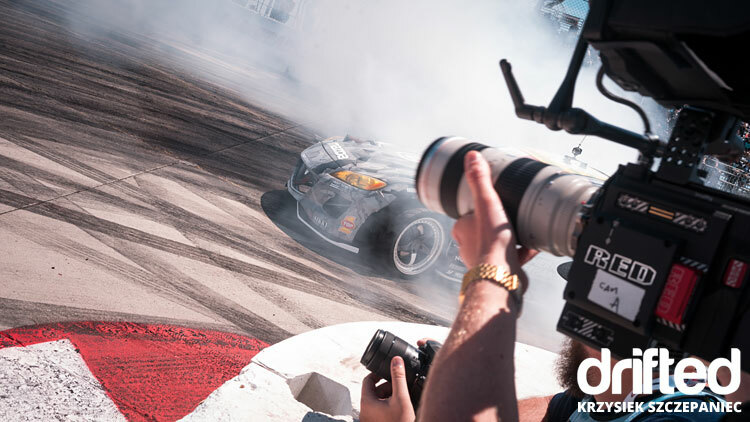 For us lazy morning begun with first official media meeting, shortly after followed by a track walk. 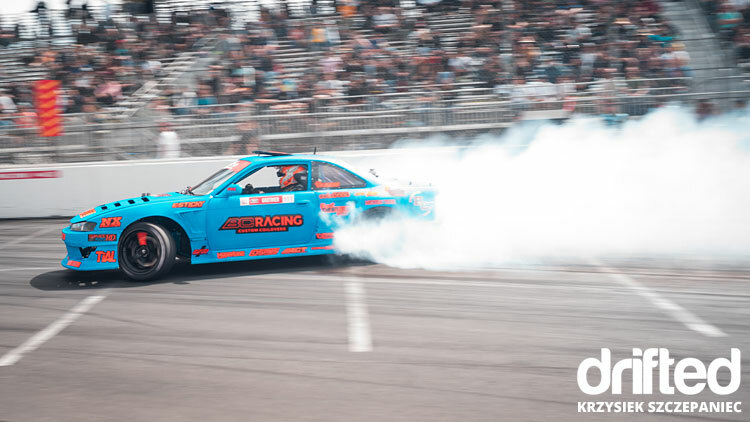 At the same time, we could hear all the LSs, RBs and JZs warming up in the background. 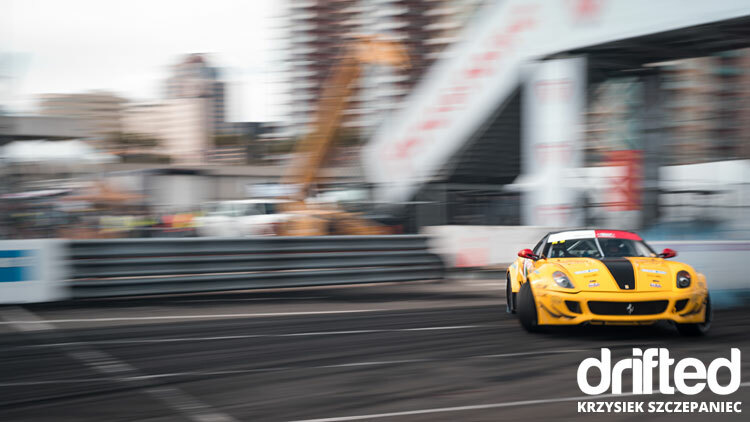 But somehow all the attention was focused on one car… the one that actually makes no noise. 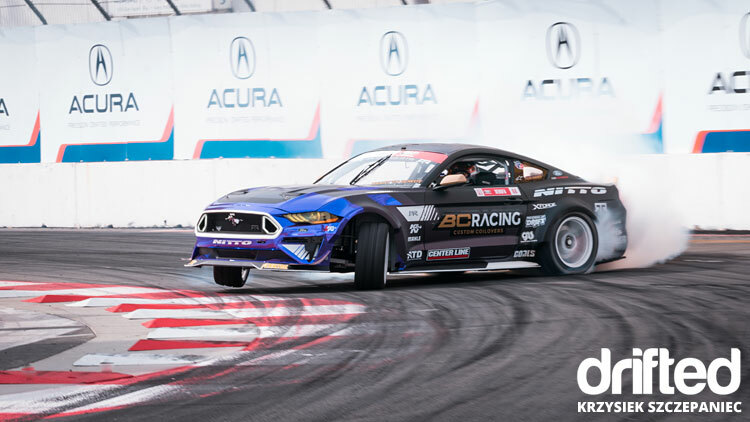 Travis Reeder, last year’s PRO2 Champion, and his team Napoleon Motorsports brought to Long Beach first-ever EV drift car – Chevrolet Camaro EL1. 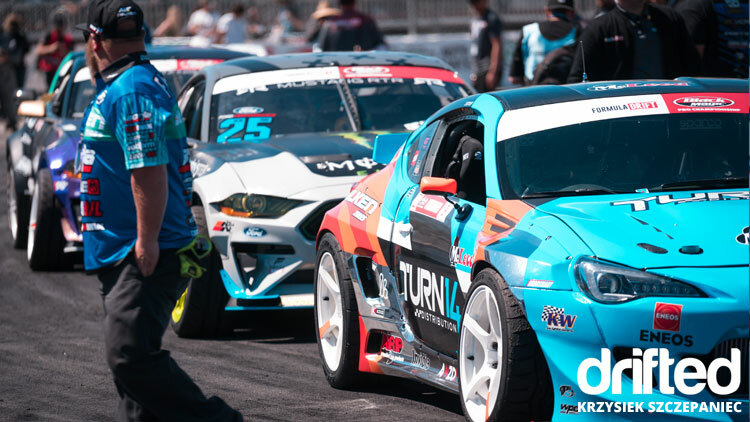 Unfortunately, due to some absurd city laws, they were not allowed to compete against gas (petrol, if you’re not in the US) powered vehicles. 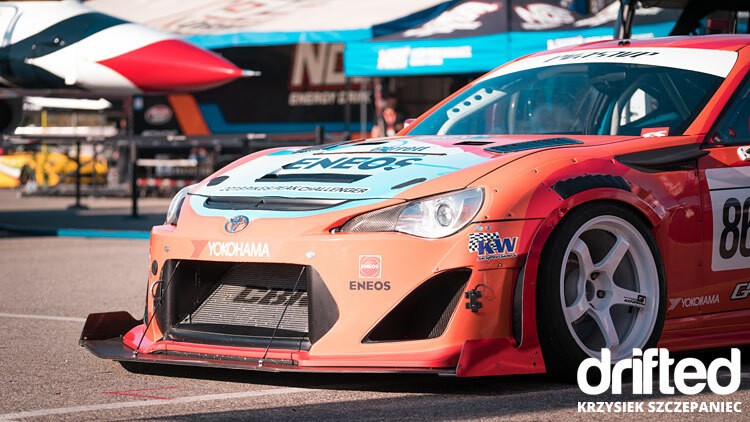 Qualifying started shortly after 1 PM. 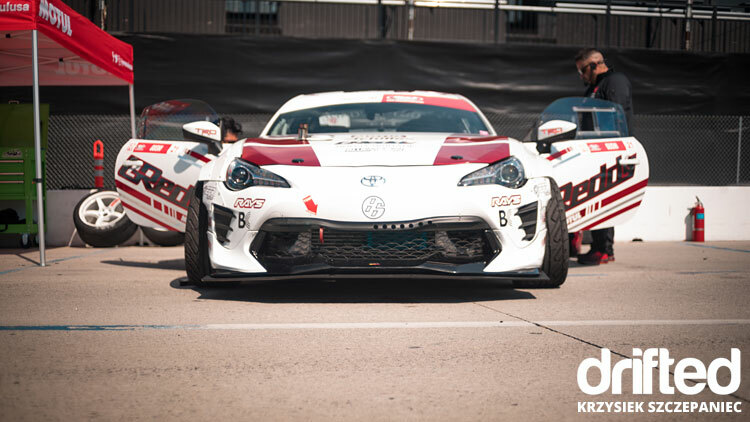 37 drivers and only 32 available spots. 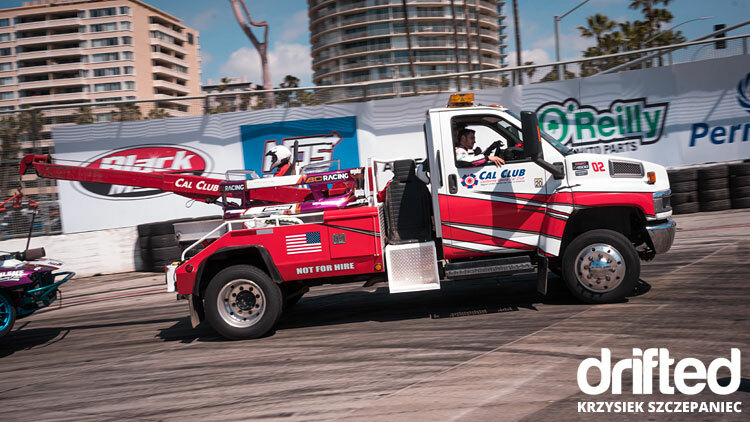 Every driver pushed it to the limit and that resulted in very high scores. 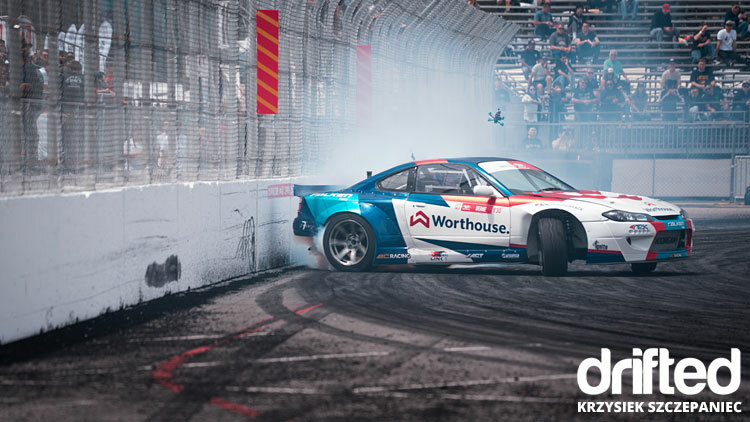 With almost perfect run (99 points), Matt Field in his Chevy Corvette took #1 spot. 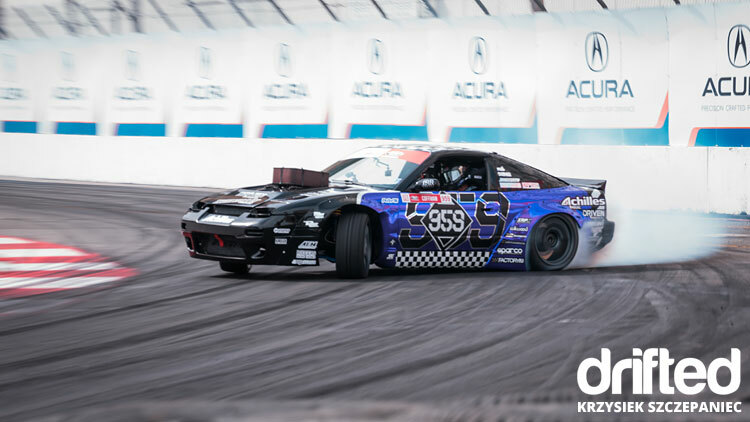 Last year’s champion, James “The Machine” Dean with 98 points placed 2nd and his teammate Piotr Wiecek got 3rd (97 points). 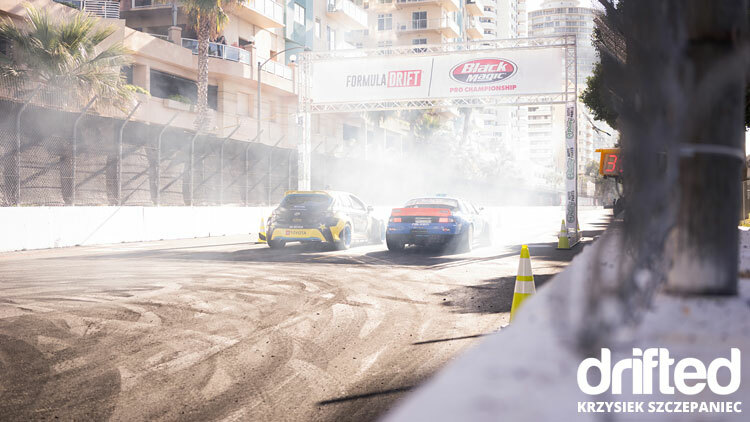 On sunny Saturday morning, you could feel the excitement mixed with gasoline and burned rubber in the air. 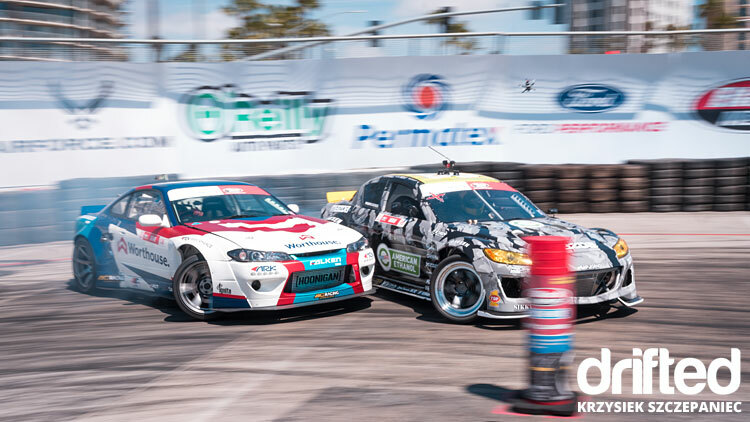 Official tandem practice kicked off after 9 AM and it was certain no one is lifting today. 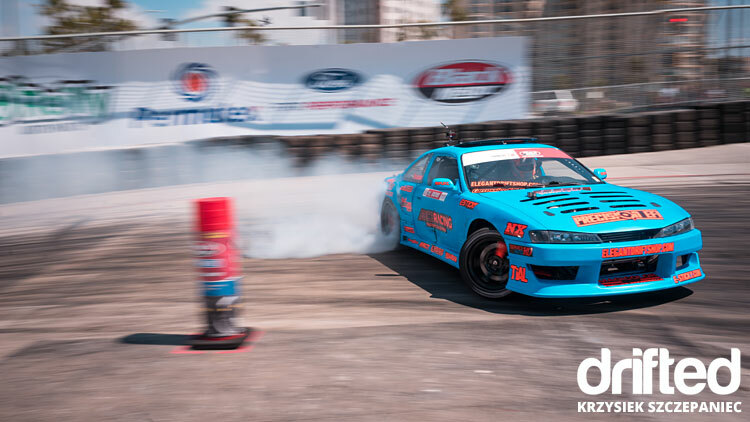 Spectators were rolling in in hundreds, anxiously waiting for TOP 32 battles. 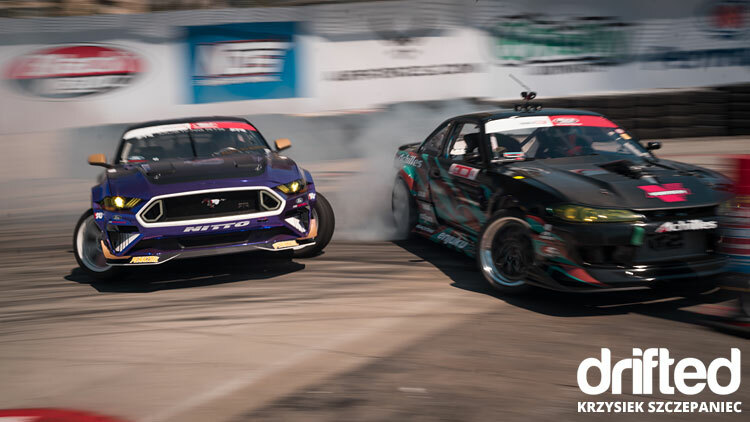 The action we’ve all been waiting for. 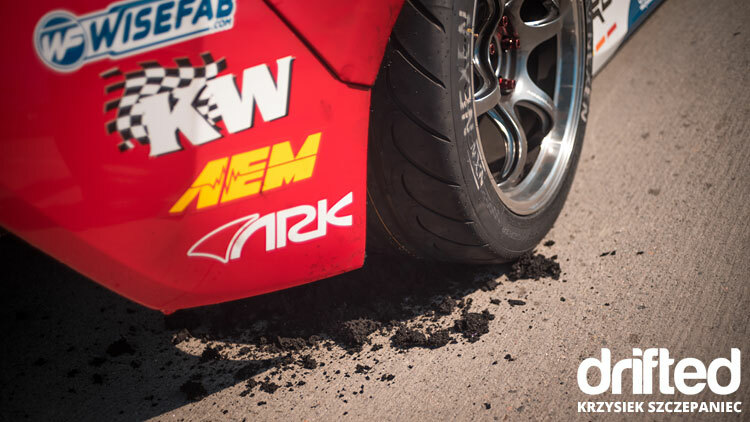 The crashes, burnouts, battle between Dean and Aasbo, mechanical failures. 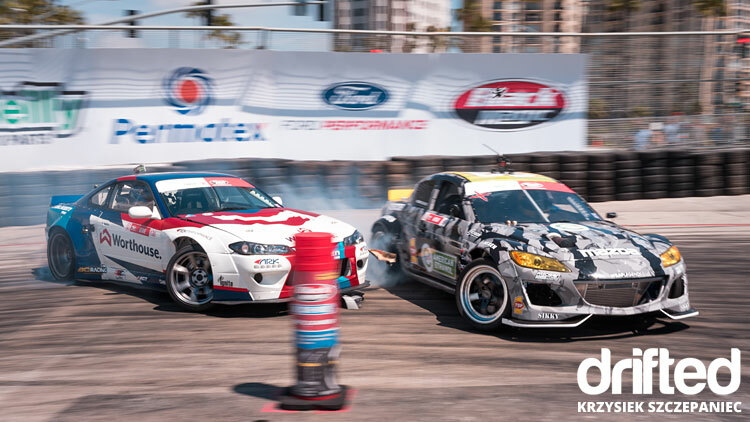 All the emotions and drama we love about drifting and motorsport in general – we got it all! 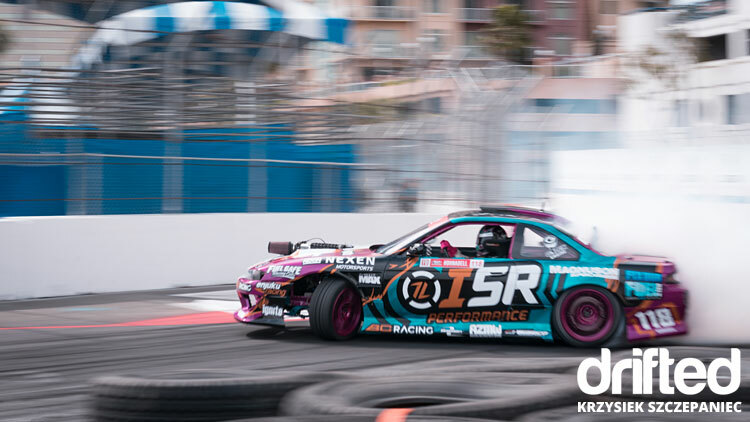 At the end of the day it all came down to 2 drivers – Forrest Wang (almost didn’t make it to the opening ceremony due to some rear subframe issues) in his new Nissan s15 and Odi Bakchis in Nissan s14. 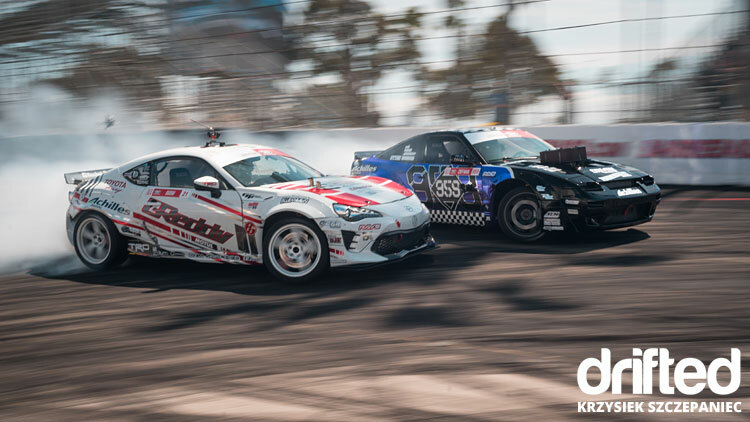 Good old S-Chassis battle! 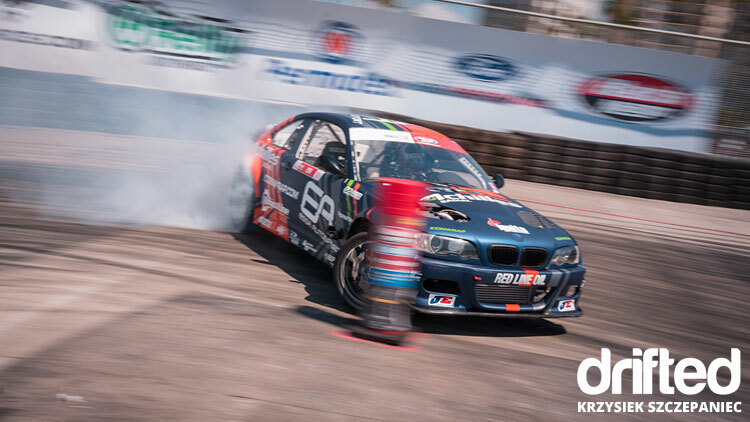 And once again Odi proves that he’s one of the best drivers and takes #1 spot! 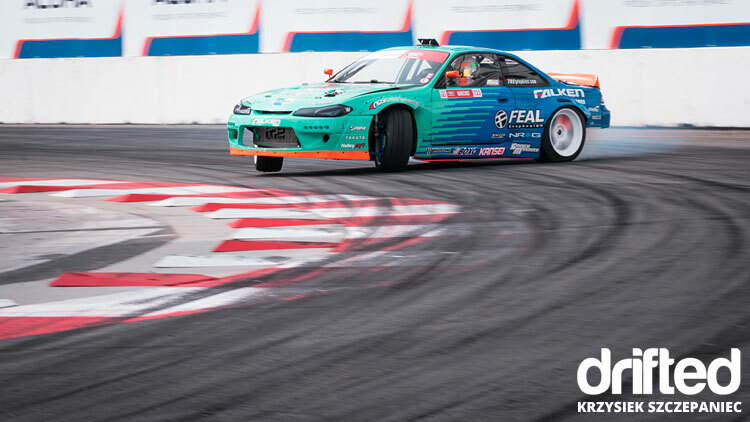 After great 2018 season, Team Falken proves (with 6 drivers in Top 10 at Long Beach) that they are going to be the major force in this year’s series. 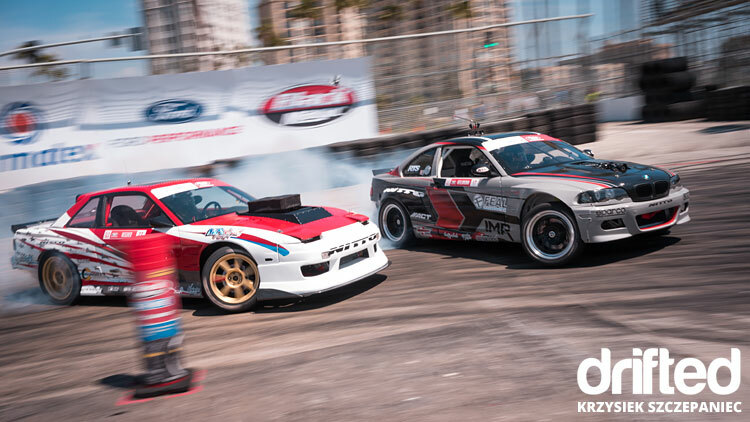 2019 Black Magic Formula Drift Championship Series remains at Long Beach until April 13 for an invitational Super Drift Challenge event and then the show will move on to Orlando, FL!